The Theatre of the Absurd (French: théâtre de l'absurde [teɑtʁ(ə) də lapsyʁd]) is a post–World War II designation for particular plays of absurdist fiction written by a number of primarily European playwrights in the late 1950s, as well as one for the style of theatre which has evolved from their work. Their work focused largely on the idea of existentialism and expressed what happens when human existence has no meaning or purpose and therefore all communication breaks down. Logical construction and argument gives way to irrational and illogical speech and to its ultimate conclusion, silence. Critic Martin Esslin coined the term in his 1960 essay "Theatre of the Absurd". He related these plays based on a broad theme of the Absurd, similar to the way Albert Camus uses the term in his 1942 essay The Myth of Sisyphus. The Absurd in these plays takes the form of man's reaction to a world apparently without meaning, or man as a puppet controlled or menaced by invisible outside forces. This style of writing was first popularized by the Samuel Beckett play Waiting for Godot (1953). Although the term is applied to a wide range of plays, some characteristics coincide in many of the plays: broad comedy, often similar to vaudeville, mixed with horrific or tragic images; characters caught in hopeless situations forced to do repetitive or meaningless actions; dialogue full of clichés, wordplay, and nonsense; plots that are cyclical or absurdly expansive; either a parody or dismissal of realism and the concept of the "well-made play". These plays were shaped by the political turmoil, scientific breakthrough, and social upheaval going on in the world around the playwrights during these times. While absurdists believed that life is absurd, they also believed that death and the "after life" were equally absurd if not more, and that whether people live or not all of their actions are pointless and everything will lead to the same end (hence the repetitiveness in many of these absurdist plays). ... the Theatre of the Absurd attacks the comfortable certainties of religious or political orthodoxy. It aims to shock its audience out of complacency, to bring it face to face with the harsh facts of the human situation as these writers see it. But the challenge behind this message is anything but one of despair. It is a challenge to accept the human condition as it is, in all its mystery and absurdity, and to bear it with dignity, nobly, responsibly; precisely because there are no easy solutions to the mysteries of existence, because ultimately man is alone in a meaningless world. The shedding of easy solutions, of comforting illusions, may be painful, but it leaves behind it a sense of freedom and relief. And that is why, in the last resort, the Theatre of the Absurd does not provoke tears of despair but the laughter of liberation. Playwrights commonly associated with the Theatre of the Absurd include Samuel Beckett, Eugène Ionesco, Jean Genet, Arthur Adamov, Harold Pinter, Luigi Pirandello, Tom Stoppard, Friedrich Dürrenmatt, Miguel Mihura, Alejandro Jodorowsky, Fernando Arrabal, Václav Havel, Edward Albee, Malay Roy Choudhury, Tadeusz Różewicz, Sławomir Mrożek, N.F. Simpson, and Badal Sarkar. In the first edition of The Theatre of the Absurd, Esslin saw the work of these playwrights as giving artistic meaning to Albert Camus's philosophy that life is inherently without meaning, as illustrated in his work The Myth of Sisyphus. In the first (1961) edition, Esslin presented the four defining playwrights of the movement as Samuel Beckett, Arthur Adamov, Eugène Ionesco, and Jean Genet, and in subsequent editions he added a fifth playwright, Harold Pinter—although each of these writers has unique preoccupations and characteristics that go beyond the term "absurd." Other writers associated with this group by Esslin and other critics include Tom Stoppard, Friedrich Dürrenmatt, Fernando Arrabal, Edward Albee, Boris Vian, and Jean Tardieu. Many of the Absurdists were contemporaries with Jean-Paul Sartre, the philosophical spokesman for existentialism in Paris, but few Absurdists actually committed to Sartre's own existentialist philosophy, as expressed in Being and Nothingness, and many of the Absurdists had a complicated relationship with him. Sartre praised Genet's plays, stating that for Genet, "Good is only an illusion. Evil is a Nothingness which arises upon the ruins of Good". Ionesco, however, hated Sartre bitterly. Ionesco accused Sartre of supporting Communism but ignoring the atrocities committed by Communists; he wrote Rhinoceros as a criticism of blind conformity, whether it be to Nazism or Communism; at the end of the play, one man remains on Earth resisting transformation into a rhinoceros Sartre criticized Rhinoceros by questioning: "Why is there one man who resists? At least we could learn why, but no, we learn not even that. He resists because he is there". Sartre's criticism highlights a primary difference between the Theatre of the Absurd and existentialism: the Theatre of the Absurd shows the failure of man without recommending a solution. In a 1966 interview, Claude Bonnefoy, comparing the Absurdists to Sartre and Camus, said to Ionesco, "It seems to me that Beckett, Adamov and yourself started out less from philosophical reflections or a return to classical sources, than from first-hand experience and a desire to find a new theatrical expression that would enable you to render this experience in all its acuteness and also its immediacy. If Sartre and Camus thought out these themes, you expressed them in a far more vital contemporary fashion". Ionesco replied, "I have the feeling that these writers – who are serious and important – were talking about absurdity and death, but that they never really lived these themes, that they did not feel them within themselves in an almost irrational, visceral way, that all this was not deeply inscribed in their language. With them it was still rhetoric, eloquence. With Adamov and Beckett it really is a very naked reality that is conveyed through the apparent dislocation of language". In comparison to Sartre's concepts of the function of literature, Samuel Beckett's primary focus was on the failure of man to overcome "absurdity" - or the repetition of life even though the end result will be the same no matter what and everything is essentially pointless - as James Knowlson says in Damned to Fame, Beckett's work focuses, "on poverty, failure, exile and loss — as he put it, on man as a 'non-knower' and as a 'non-can-er' ." Beckett's own relationship with Sartre was complicated by a mistake made in the publication of one of his stories in Sartre's journal Les Temps Modernes. Beckett said, though he liked Nausea, he generally found the writing style of Sartre and Heidegger to be "too philosophical" and he considered himself "not a philosopher". The "Absurd" or "New Theater" movement was originally a Paris-based (and a Rive Gauche) avant-garde phenomenon tied to extremely small theaters in the Quartier Latin. Some of the Absurdists, such as Jean Genet, Jean Tardieu, and Boris Vian., were born in France. Many other Absurdists were born elsewhere but lived in France, writing often in French: Samuel Beckett from Ireland; Eugène Ionesco from Romania; Arthur Adamov from Russia; Alejandro Jodorowsky from Chile and Fernando Arrabal from Spain. As the influence of the Absurdists grew, the style spread to other countries—with playwrights either directly influenced by Absurdists in Paris or playwrights labelled Absurdist by critics. In England some of those whom Esslin considered practitioners of the Theatre of the Absurd include Harold Pinter, Tom Stoppard, N. F. Simpson, James Saunders, and David Campton; in the United States, Edward Albee, Sam Shepard, Jack Gelber, and John Guare; in Poland, Tadeusz Różewicz, Sławomir Mrożek, and Tadeusz Kantor; in Italy, Dino Buzzati; and in Germany, Peter Weiss, Wolfgang Hildesheimer, and Günter Grass. In India, both Mohit Chattopadhyay and Mahesh Elkunchwar have also been labeled Absurdists. Other international Absurdist playwrights include Tawfiq el-Hakim from Egypt; Hanoch Levin from Israel; Miguel Mihura from Spain; José de Almada Negreiros from Portugal; Mikhail Volokhov  from Russia; Yordan Radichkov from Bulgaria; and playwright and former Czech President Václav Havel, and others from the Czech Republic and Slovakia. On October 28, 1959, Krapp's Last Tape by Beckett was first performed at the Royal Court Theatre in London. Fernando Arrabal's Picnic on the Battlefield (Pique-nique en campagne) came out in 1958. Genet's The Blacks (Les Nègres) was published that year but was first performed at the Théatre de Lutèce in Paris on 28 October 1959. Lebanese author Issam Mahfouz's play The Dictator premiered in Beirut in 1969. Beckett's Catastrophe—dedicated to then-imprisoned Czech dissident playwright Václav Havel, who became president of Czechoslovakia after the 1989 Velvet Revolution—was first performed at the Avignon Festival on July 21, 1982. The film version (Beckett on Film, 2001) was directed by David Mamet and performed by Harold Pinter, Sir John Gielgud, and Rebecca Pidgeon. Echoes of elements of "The Theatre of the Absurd" can be seen in the work of many later playwrights, from more avant-garde or experimental playwrights like Suzan-Lori Parks—in The Death of the Last Black Man in the Whole Entire World and The America Play, for example—to relatively realistic playwrights like David Mamet—in Glengarry Glen Ross, which Mamet dedicated to Harold Pinter. Irish playwright Martin McDonagh in plays such as Pillowman addresses some of the themes and uses some of the techniques of Absurdism, especially reminiscent of Beckett and Pinter. In addition, the absurd drama has also found its way in Urdu literature, Mazaron Ke Phool [i.e. Graveyard Flowers] (2008) by contemporary Pakistani writer, poet and columnist Mujtaba Haider Zaidi is the first absurd drama in the history of Urdu literature. Created in the pattern of ancient Greek tragedies, the drama contains only two characters, and carries both poetry and prose in it, and hence fulfills all the requirements necessary for a perfect Absurd drama. The more complex characters are in crisis because the world around them is incomprehensible. Many of Pinter's plays, for example, feature characters trapped in an enclosed space menaced by some force the character can't understand. Pinter's first play was The Room – in which the main character, Rose, is menaced by Riley who invades her safe space though the actual source of menace remains a mystery – and this theme of characters in a safe space menaced by an outside force is repeated in many of his later works (perhaps most famously in The Birthday Party). In Friedrich Dürrenmatt's The Visit the main character, Alfred, is menaced by Claire Zachanassian; Claire, richest woman in the world with a decaying body and multiple husbands throughout the play, has guaranteed a payout for anyone in the town willing to kill Alfred. Characters in Absurdist drama may also face the chaos of a world that science and logic have abandoned. 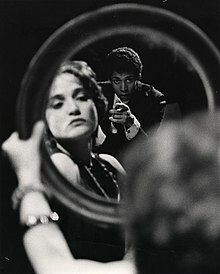 Ionesco's recurring character Berenger, for example, faces a killer without motivation in The Killer, and Berenger's logical arguments fail to convince the killer that killing is wrong. In Rhinocéros, Berenger remains the only human on Earth who hasn’t turned into a rhinoceros and must decide whether or not to conform. Characters may find themselves trapped in a routine, or in a metafictional conceit, trapped in a story; the title characters in Tom Stoppard's Rosencrantz & Guildenstern Are Dead, for example, find themselves in a story (Hamlet) in which the outcome has already been written. ^ The Hutchinson Encyclopedia, Millennium Edition, Helicon 1999. ^ Esslin, Martin (1961). The Theatre of the Absurd. OCLC 329986. ^ Culík, Jan (2000). "THE THEATRE OF THE ABSURD: THE WEST AND THE EAST". University of Glasgow. Archived from the original on 2009-08-23. ^ Terry Hodgson. The plays of Tom Stoppard: for stage, radio, TV and film.Palgrave Macmillan, 2001. ISBN 1-84046-241-8, ISBN 978-1-84046-241-8.pg.181. ^ Barbara Lee Horn. Edward Albee: a research and production sourcebook. Greenwood Publishing Group, 2003. ISBN 0-313-31141-2, ISBN 978-0-313-31141-3. pg. 13, 17 29, 40, 55, 232. ^ Neil Cornwell. The Absurd in Literature. Manchester University Press ND, 2006. ISBN 0-7190-7410-X. pg. 280. ^ Samuel Beckett. Endgame: a play in one act, followed by Act without words, a mime for one player. Grove Press, 1958. ISBN 0-8021-5024-1. pg. 18–19. ^ Friedrich Dürrenmatt. "Problems of the Theatre". The Marriage of Mr. Mississippi. Grove Press, 1964. ISBN 978-0-394-17198-2. pg. 30–31. ^ Neil Cornwell. The absurd in literature. Manchester University Press ND, 2006. ISBN 0-7190-7410-X. pg. 143. ^ John Freedman. The major plays of Nikolai Erdman: The warrant and The suicide. Routledge, 1995.ISBN 3718655837. xvii. ^ a b J. L. Styan. The dark comedy: the development of modern comic tragedy. Cambridge University Press, 1968. ISBN 0-521-09529-8. pg. 217. ^ a b Rupert D. V. Glasgow. Madness, Masks, and Laughter: An Essay on Comedy. Fairleigh Dickinson Univ Press, 1995. ISBN 0-8386-3559-8. pg. 332. ^ Antonin Artaud The Theatre and Its Double. Tr. Mary Caroline Richards. New York: Grove Weidenfeld, 1958., pg. 15–133. ^ Mel Gussow. Theatre on the edge: new visions, new voices. Hal Leonard Corporation, 1998. ISBN 1-55783-311-7. pg. 303. ^ Eli Rozik. The roots of theatre: rethinking ritual and other theories of origin. University of Iowa Press, 2002. ISBN 0-87745-817-0. pg. 264. ^ Richard Drain. Twentieth-century theatre: a sourcebook. Routledge, 1995. ISBN 0-415-09619-7. pg. 5–7, 26. ^ C. D. Innes. Avant garde theatre, 1892–1992.Routledge, 1993. ISBN 0-415-06518-6. pg. 118. ^ Jean-Paul Sartre. "Introduction to The Maids; and Deathwatch" The Maids; and Deathwatch. Grove Press, 1962. ISBN 0-8021-5056-X. pg. 11. ^ Eugène Ionesco. Present Past, Past Present. Da Capo Press, 1998. ISBN 0-306-80835-8. pg. 63. ^ Eugène Ionesco. Fragments of a Journal. Tr. Jean Stewart. London: Faber and Faber, 1968. pg. 78. ^ Rosette C. Lamont. Ionesco's imperatives: the politics of culture. University of Michigan Press, 1993. ISBN 0-472-10310-5. pg. 145. ^ Claude Bonnefoy. Conversations with Eugène Ionesco. Trans. Jan Dawson. Holt, Rinehard and Winston, 1971. pg. 122–123. ^ Anthony Cronin, Isaac Cronin. Samuel Beckett: the last modernist. Da Capo Press, 1999. ISBN 0-306-80898-6. pg. 231. ^ a b c d e f g h i j k l Felicia Hardison Londré, Margot Berthold. The history of world theater: from the English restoration to the present. Continuum International Publishing Group, 1999. ISBN 0-8264-1167-3. pg. 428. ^ Bill Marshall, Cristina Johnston. France and the Americas: culture, politics, and history : a multidisciplinary encycopledia. ABC-CLIO, 2005. ISBN 1-85109-411-3. pg. 1187. ^ Gabrielle H. Cody, Evert Sprinchorn. The Columbia encyclopedia of modern drama. Columbia University Press, 2007. ISBN 0-231-14424-5. pg. 1285. ^ Randall Stevenson, Jonathan Bate. The Oxford English Literary History: 1960–2000: The Last of England?. Oxford University Press, 2004. ISBN 0-19-818423-9. pg. 356. ^ Don Shewey. Sam Shepard. Da Capo Press, 1997. ISBN 0-306-80770-X. pg. 123, 132. ^ Robert Cohen. Understanding Peter Weiss. Univ of South Carolina Press, 1993. ISBN 0-87249-898-0. pg. 35–36. ^ a b Marshall Cavendish. World and Its Peoples: Eastern and Southern Asia. Marshall Cavendish, 2007. ISBN 0-7614-7631-8. pg. 408. ^ William M. Hutchins. Tawfiq al-Hakim: a reader's guide. Lynne Rienner Publishers, 2003. ISBN 0-89410-885-9. pg. 1, 27. ^ Linda Ben-Zvi. Theater in Israel. University of Michigan Press, 1996. ISBN 0-472-10607-4. pg. 151. ^ Anna Klobucka. The Portuguese nun: formation of a national myth. Bucknell University Press, 2000. ISBN 0-8387-5465-1. pg. 88. ^ Gene A. Plunka. The Rites of Passage of Jean Genet: The Art and Aesthetics of Risk Taking. Fairleigh Dickinson Univ Press, 1992. ISBN 0-8386-3461-3. pg. 29, 304. ^ Ian Smith, Harold Pinter. Pinter in the theatre. Nick Hern Books, 2005. ISBN 1-85459-864-3. pg. 169. ^ raysdesigns2000@hotmail.com. "www.haroldpinter.org - Plays". ^ Peter Raby. The Cambridge companion to Harold Pinter. Cambridge University Press, 2001. ISBN 0-521-65842-X. pg. xv. ^ raysdesigns2000@hotmail.com. "www.haroldpinter.org - The Homecoming". ^ Peter Weiss, Robert Cohen. Marat/Sade; The investigation; and The shadow of the coachman's body. Continuum International Publishing Group, 1998. ISBN 0-8264-0963-6. pg. xxvi. ^ Anthony Jenkins. The theatre of Tom Stoppard. Cambridge University Press, 1989. ISBN 0-521-37974-1. pg. 37. ^ Myers, Robert; Saab, Nada (2014-12-16). "Revolutionary Theatre of the Absurd from the Arab World". PAJ: A Journal of Performance and Art. 37 (1): 94–96. doi:10.1162/PAJJ_a_00249. ISSN 1520-281X. ^ Enoch Brater. Beyond Minimalism: Beckett's Late Style in the Theater. Oxford University Press US, 1990. ISBN 0-19-506655-3. pg. 139. ^ Enoch Brater. "After the Absurd". Around the Absurd: Essays on Modern and Postmodern Drama. Ed. Enoch Brater and Ruby Cohn. University of Michigan Press, 1990. ISBN 978-0-472-10205-1. pg. 293–301. ^ Michael Hinden. "After Beckett: The Plays of Pinter, Stoppard, and Shepard". Contemporary Literature. Fall 1986, Vol. 27, Issue 3. pg. 408. ^ Neil Cornwell. The absurd in literature. Manchester University Press ND, 2006. ISBN 0-7190-7410-X, 9780719074103. pg. 296. ^ Klaus Stierstorfer. Beyond postmodernism: reassessments in literature, theory, and culture. Walter de Gruyter, 2003 ISBN 3-11-017722-6, ISBN 978-3-11-017722-0. pg. 294. ^ Richard Rankin Russell. Martin McDonagh: a casebook. Routledge, 2007. ISBN 0-415-97765-7, ISBN 978-0-415-97765-4. pg. 3. ^ "Open access journal for Film and Television Studies". ^ Anthony Cronin, Isaac Cronin. Samuel Beckett: the last modernist. Da Capo Press, 1999. ISBN 0-306-80898-6. pg. 424. ^ Dave Bradby. Modern French Drama: 1940–1990. Cambridge University Press, 1991. ISBN 0-521-40843-1. 58. ^ Katherine H. Burkman. The dramatic world of Harold Pinter: its basis in ritual. Ohio State University Press, 1971 ISBN 0-8142-0146-6, ISBN 978-0-8142-0146-6. pg. 70–73. ^ Leonard Cabell Pronko. Avant-garde: the experimental theater in France. University of California Press, 1966. pg. 96–102. ^ Harold Bloom. Bloom's Major Dramatists: Eugène Ionesco. 2003. Infobase Publishing. p106-110. ^ Robert B. Heilman. The Ghost on the Ramparts. University of Georgia Press, 2008 ISBN 0-8203-3265-8, ISBN 978-0-8203-3265-9. pg. 170–171. ^ Victor L. Cahn. Beyond Absurdity: The Plays of Tom Stoppard. London: Associated University Presses, 1979. pg. 36–39. Cahn asserts that though Stoppard begain writing in the Absurdist mode, in his increasing focus on order, optimism, and the redemptive power of art, Stoppard has moved "beyond" Absurdism, as the title implies. ^ Alan Astro. Understanding Samuel Beckett. Univ of South Carolina Press, 1990 ISBN 0-87249-686-4, ISBN 978-0-87249-686-6. pg. 116. ^ a b c Hinden, pg. 401. ^ Lisa M. Siefker Bailey, Bruce J. Mann. Edward Albee: A Casebook. 2003. Routledge. pg. 33–44. ^ Edward Albee, Philip C. Kolin. Conversations with Edward Albee. Univ. Press of Mississippi, 1988. ISBN 0-87805-342-5. pg. 189. ^ Jeanette R. Malkin. Verbal Violence in Contemporary Drama: From Handke to Shepard. Cambridge University Press, 1992. ISBN 0-521-38335-8. pg. 40. ^ Erich Segal. The Death of Comedy. Harvard University Press, 2001. ISBN 0-674-01247-X pg. 422. ^ Guido Almansi, Simon Henderson. Harold Pinter. Routledge, 1983. ISBN 0-416-31710-3. pg. 37. ^ David Bradby. Beckett, Waiting for Godot. Camberidge University Press, 2001. ISBN 0-521-59510-X, pg. 81. ^ Harold Pinter. The Birthday Party and The Room: Two Plays. Grove Press, 1994. ISBN 0-8021-5114-0. pg. 51. ^ Raymond Williams. "The Birthday Party: Harold Pinter". Modern Critical Views: Harold Pinter. New York: Chelsea House Publishers, 1987. ISBN 0-87754-706-8. pg. 22–23. ^ Marc Silverstein. Harold Pinter and the language of cultural power. Bucknell University Press, 1993 ISBN 0-8387-5236-5, ISBN 978-0-8387-5236-4. pg. 33–34. ^ Richard Hornby. Drama, Metadrama and perception. Associated University Presse, 1986 ISBN 0-8387-5101-6, ISBN 978-0-8387-5101-5. pg. 61–63. ^ Eugène Ionesco. The Bald Soprano and Other Plays. Grove Press, 1982. ISBN 0-8021-3079-8. pg. 67. ^ Claude Schumacher. Encyclopedia of Literature & Criticism. 1990. Routledge. pg. 10. ^ Sydney Homan. Beckett's theaters: interpretations for performance. Bucknell University Press, 1984. ISBN 0-8387-5064-8. pg. 198. ^ Marc Silverstein. Harold Pinter and the language of cultural power. Bucknell University Press, 1993.ISBN 0-8387-5236-5, ISBN 978-0-8387-5236-4. pg. 76–94. ^ Stephen James Bottoms. The Cambridge Companion to Edward Albee. Cambridge University Press, 2005. ISBN 0-521-83455-4. pg. 221. ^ Edward Albee. A delicate balance: a play in three acts. Samuel French, Inc., 1994. ISBN 0-573-60792-3. pg. 31. ^ Alice Rayner. Ghosts: death's double and the phenomena of theatre. U of Minnesota Press, 2006. ISBN 0-8166-4544-2. pg. 120. ^ Alan Astro. Understanding Samuel Beckett. Univ of South Carolina Press, 1990. ISBN 0-87249-686-4. pg. 177. ^ Ruby Cohn. A Beckett Canon. University of Michigan Press, 2001. ISBN 978-0-472-11190-9 pg. 298, 337. ^ Justin Wintle. The Makers of Modern Culture. Routledge, 2002. ISBN 0-415-26583-5. pg. 243. ^ June Schlueter. Metafictional Characters in Modern Drama. Columbia University Press, 1979. ISBN 0-231-04752-5. pg. 53. ^ Peter K. W. Tan, Tom Stoppard. A stylistics of drama: with special focus on Stoppard's Travesties. NUS Press, 1993. ISBN 9971-69-182-5, ISBN 978-9971-69-182-0. ^ Katherine H. Burkman. Myth and ritual in the plays of Samuel Beckett. Fairleigh Dickinson Univ Press, 1987. ISBN 0-8386-3299-8. pg. 24. ^ Samuel Beckett. Endgame: a play in one act, followed by Act without words, a mime for one player.Grove Press, 1958. ISBN 0-8021-5024-1. pg. 1. ^ Andrew K. Kennedy. Samuel Beckett. Cambridge University Press, 1989. ISBN 0-521-27488-5. pg. 48. Adamov, Jacqueline, "Censure et représentation dans le théâtre d’Arthur Adamov", in P. Vernois (Textes recueillis et présentés par), L’Onirisme et l’insolite dans le théâtre français contemporain. Actes du colloque de Strasbourg, Paris, Editions Klincksieck, 1974. Esslin, Martin. The theatre of the absurd. London: Pelican, 1980. Haney, W.S., II. "Beckett Out of His Mind: The Theatre of the Absurd". Studies in the Literary IMagination. Vol. 34 (2). La Nouvelle Critique, numéro spécial "Arthur Adamov", août-septembre 1973. Youngberg, Q. Mommy's American Dream in Edward Albee's the American Dream. The Explicator, (2), 108. Zhu, Jiang. "Analysis on the Artistic Features and Themes of the Theater of the Absurd". Theory & Practice in Language Studies, 3(8).